This is a very good set of chart on some of the problems when comparing the relationship between stock returns and exchange rate returns. They can sometimes be negatively correlated and at other times highly correlated. The stocks cannot tell you what may happen to exchange rates nor can exchange rates tell us about stock returns. You need more information on other factors. 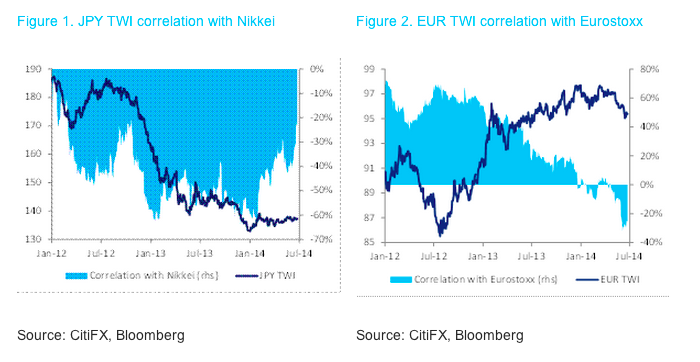 The yen has fallen significantly and its correlation with the Nikkei stock index has been negative. The stock market has been on a nice up move while the yen has been falling. In the case of the euro, the currency has been moving higher and the stock market has also moved higher. The correlation has been positive and only recently has turned down. Is there a correct relationship between a stock market and the exchange rate? No. The common factor is capital flows and the underlying economy. In the case of Europe, money flows have moved back to the region after the sovereign debt crisis. Monetary policy has been marginally tight, so the combination has led to higher exchange rates and an improving stock market. With the ECB calling for looser monetary policy, the correlation has now turned negative. The stock market is still moving higher, but there is the expectation of a weaker Euro. In the case of the yen, the QE program has pushed the yen lower and provided liquidity for a robust stock gain. Hence, there was a negative correlation between the two markets. Now that the monetary stimulus is not expected to work as well, there stock market has reversed some of its gains and the exchange rate has stopped its descent. The common thread in monetary policy. This will drive both markets and tell us about the correlation across these asset classes. Are liquid alt funds a disruptive innovation? 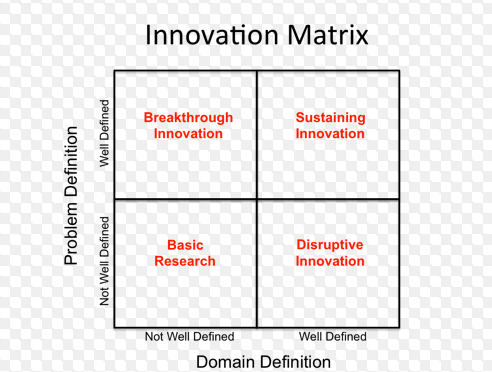 One of the most influential business strategy ideas has been the concept of disruptive innovation as described by Clayton Christensen of the Harvard Business School. 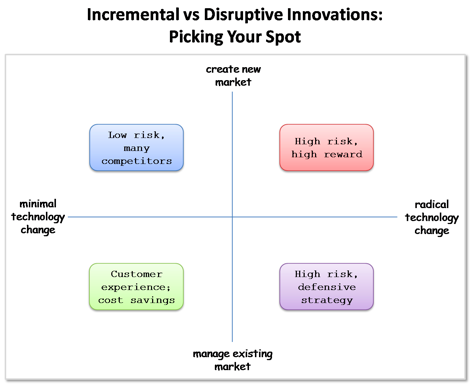 Innovation can be disruptive to the status quo or incumbent business through introducing new tools, products, and approaches to business that open new markets and cut profits of existing business. By serving new customers or special customer segments, the entrant is able to disrupt the market for an existing product or by creating a new product. The money management and hedge fund business are not immune to the effects of disruptive innovation. It just may not be associated with the investment process. The liquid alternative funds could be considered a disruptive innovation that is changing the hedge fund industry. It is a clear change in the way hedge funds are marketed and it is very disruptive to the established hedge funds, but it may need to be placed in context within the asset management industry. The disruption may is from new entrants but not small players. 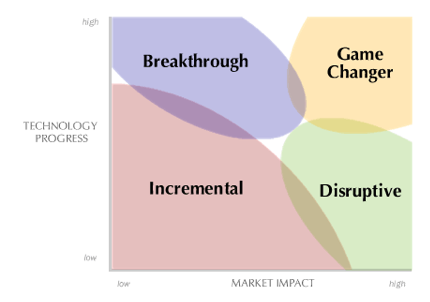 This disruption is from the larger asset management companies. Hedge funds could not be easily accessed by the mass market. You had to be a qualified investor. There were tax considerations. There is a lack of liquidity with traditional hedge funds. The marketing was to high net worth individuals and institutions. The majority of market participants did not have access to the skills associated with hedge funds and the offerings available to the mass market were limited and expensive. With the change in regulations which allowed for liquid alternative, there has been a fundamental shift in the business. Hedge funds are now being mass marketed in small pieces to every investor. The advantage of small hedge firms has been eroded and the large money management firms which have access to RIA's and brokers can be able to use their marketing and distribution forces to sell hedge funds. The balance of power has shifted from management skills to marketing skills. The amount of scale necessary for running hedge funds has increased because management fees are declining. Small firms that cannot cater to the mass market will be shut out of the process. The dominance of the boutique firm is eroding. This is a minimal technological change but it has created a new market. The management of assets by hedge funds that cater to the liquid alt area is focused on diversification and with style betas. It is less about the alpha skill of the manager. Managing large pools of assets may be less about creating alpha because the flows are just too large. The innovation in liquid alts has not been a change in the type of returns generated. In fact, the liquid alt have not performed well. It is about the delivery mechanism. It is a well defined problem with a solution. The impact is significant even though the technological progress is small. 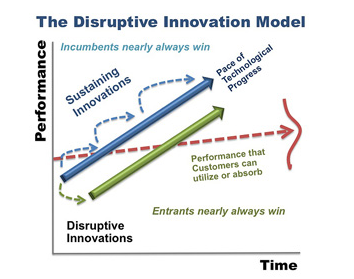 It is disruptive. This disruptive innovation will cause all hedge funds to adapt. Do you mass market or become a niche player? How do you market? What terms will you give customers? The change in hedge funds will not be about investment strategy but market distribution. 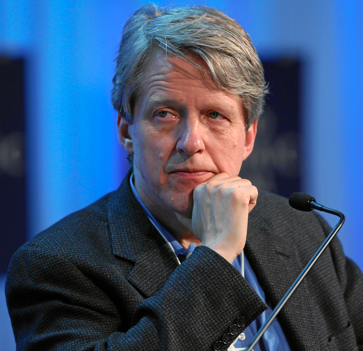 The American Economic Review also published the Nobel Prize lecture of Robert Shiller. What a contrast in style and point of view from the Fama lecture. Shiller provides a spirited case for markets not always being rational; nevertheless, he does not speak with the same sense of certainty in his convictions as Fama. He sees facts that do not make sense and then tries to offer some alternative explanations. He started out as a believer in market efficiency but his views of the evidence pushed in different direction. A reading of this lecture shows the subtlety of an active mind grappling with difficult issues. I have never been a big fan of the discount models of Schiller to show that markets are "too volatile", but I fully appreciate that his work opened a set of questions in a world market efficiency certainty. He grants the fact that the word bubble is too often used to describe markets, but then provides some strong evidence that markets do deviate from what would be market efficiency. The driver of his world of analysis is the difference between the expected present value in price and actual prices which seems to suggest that markets are excessively volatility. The reason for this difference could be a model used. Market efficiency is always a joint test, but the evidence from Shiller is displayed in a number of different forms. A close inspection shows that some more detailed models can reduce the amount of excessive volatility, but the evidence is still the same. Prices variability is much greater than the variability in dividends. The results of these more detailed models have been the same. The stock market is a poor forecaster of what the present value of stock prices should be. He is willing to clearly admit that individual stocks are generally efficient and the best approximation of market behavior. His work also moved into looking at market efficiency with real estate, one of the largest markets in the world. Here again he finds prices that do not match what should be expected with a discounted present value approach. He is a believer in the behavioral finance as one approach to explain excessive volatility but his willingness is based on the poor results of the status quo. He leaves room for other alternatives. I may not agree with all of his views or his research but I have profound respect for his approach to research and his attempt to answer difficult questions. 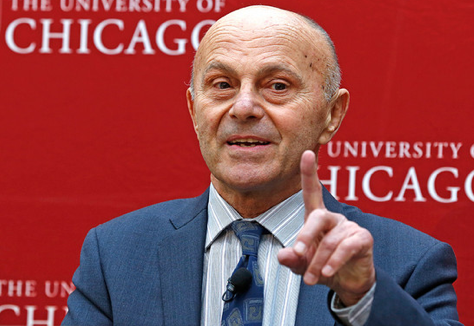 The American Economic Review published the lecture of economic Nobel Prize winner Eugen Fama in its the most recent issue. If you want a full-throated defense of efficient markets, this is the place. There is no room for doubt and there is little discussion of alternative views. Fama shows himself to be up for any battle defending his work in finance. After being much maligned over the last two decades, it is good to see someone who is willing to defend one of the pillars of finance. I have my doubts on efficiency applying at all times, but it is still a foundation of finance no different than the idea of rational expectations or competitive markets. The core of Fama's discussion is the key idea that efficiency is a joint hypothesis of the market efficiency and the market model being used. The failure of a bad model tells us nothing about market efficiency. Fama discusses the event study approach as one of the premier tests of market efficiency. There are hundreds of papers that show that market reaction to news is swift and complete. He shows that predictive regressions add little value through his work on inflation forecasts and that the information embedded in forward rates is mostly about term premiums and not future spot rates. Expected stock returns are time varying and thus hard to forecast. Bubbles from his point of view may be a concept that is overused and not easy to identify. Fama has little room for behavioral finance as an adequate explanation for price dynamics. He is a strong believer in the CAPM as a useful model as does not place a lot of stock in the so-called problems with the approach. He is, however, willing to agree that his three factor model with Ken French is an improvement on describing average returns. He views this work not as an indictment of efficiency but just as a more detailed description of the market. It is hard to disagree with his spirited defense if you are not aware of the controversies swirling around in finance. This is a strong defense of market efficiency but not even-handed. An out of the box survey was presented in CIO magazine which gauged the opinion of asset managers on the "buzzwords" that will stay with the industry. It would be an interesting game to determine what you would consider is an asset management buzzword. More importantly, is finding out what asset managers think about some of the new concepts of finance. 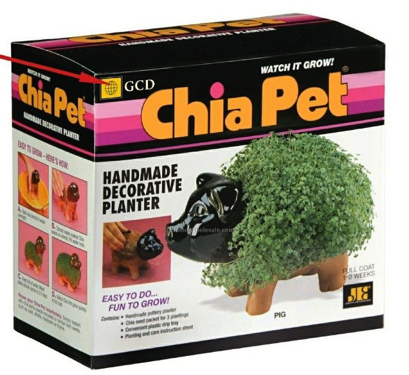 How many of these will stand the test of time or will they become the Chia pets of finance. If I had one to move over to the long-term term column, it would be risk parity. We will see in a few years. "Smart" beta - is it all in the words? There was a nice thoughtful piece this week in Barron's blog on whether "smart" beta has "jumped the shark". The ideas behind smart beta, different approaches to forming a market portfolio are real. Equal weighting of an index may be useful versus a market capitalization index, but it does not have to be smart. Different is not smart. These smart beta portfolios are only smart because they outperform an existing approach. Hence, the smart beta of today may be the dumb beta of tomorrow. 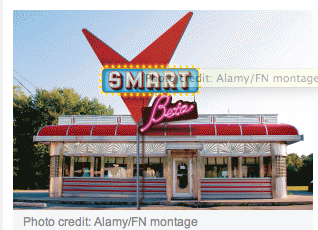 Who does not want to have smart beta? Would you like to have dumb beta? Smart beta has no meaning for the manager not already familiar with the concept. Smart beta could be whatever the definer wants it to be. This term or language does not impart any knowledge to the reader. Hence, it is a concept that may have no meaning. There can be good arguments on the validity of concepts like "smart beta", butan important issue is the precision in language within finance. If "smart" beta applies to many things, then it loses its meaning. It has been 40 years since the US placed an export ban on crude oil in order to help the country through the Arab oil embargo during the 1973 Arab-Israeli (Yom Kippur) War. You can ask the simple question of what took so long to change the policy. You can also ask the question as to whether lifting this export ban is good energy policy. We finally are on track to provide better energy independence and we want to change the rules of the game. As usual, there will be unintended consequences from this change in policy. This is all possible because US oil and natural gas production has increased significantly over the last five years. 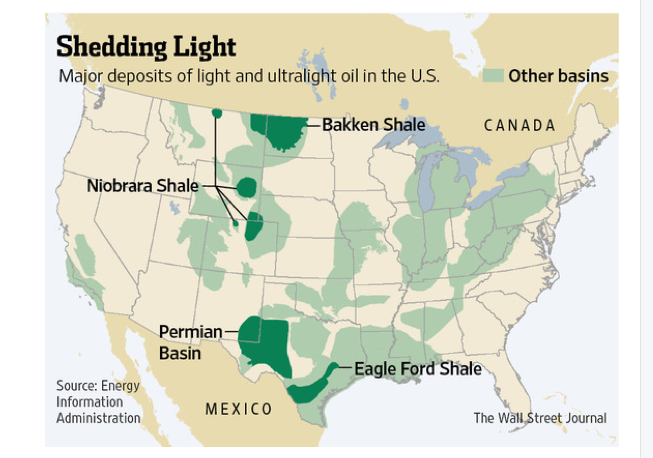 The production increase is all associated with the shale oil being found in a set of key basins. Most of the new oil is light and ultralight oil that does not need as much refining or can have limited "processing". This is the type of oil that is being discussed as appropriate for export. The total production from this new oil just about offsets the decline in production from Middle East disruptions. 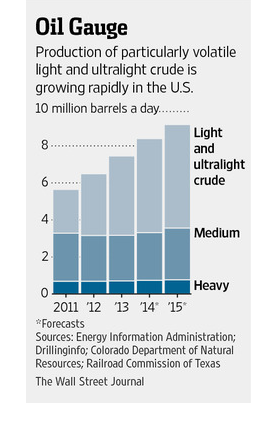 US production has increased by 3 million barrels a day since 2009. The oil boom has been good for jobs and has placed a cap on what would be a tighter global oil market but it has not lowered prices substantially. Overall, we still need a US energy policy because the production advantage today is unlikely to last. We got a horrible first quarter GDP and durable goods number. These were both surprises versus expectations, yet the markets have been calm. 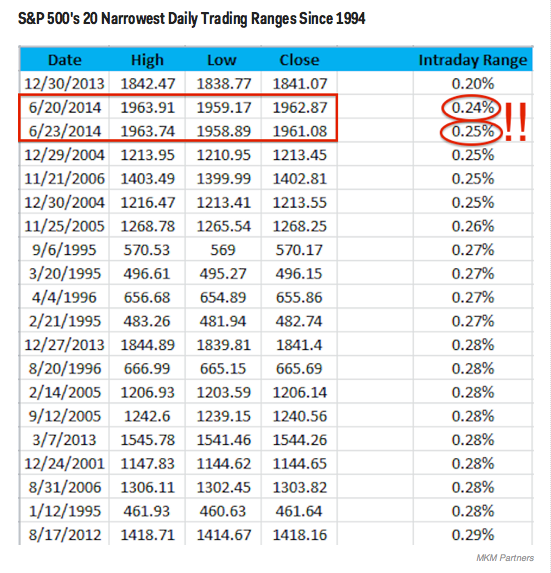 We have a big divergence between what many investors are expecting and what we are seeing in the numbers. Investor optimism versus a more tepid reality. This cannot last. The VIX index continues to trend lower. More interesting has been the intraday range for trading. There is none. The market is not moving between the open and close. A closer look will show that the majority of moves is coming between the close and open when government numbers are generally announced. Find out about the macro numbers and then go home. The Barclay's macro survey showed that the biggest concern for investors is geopolitical risk, but there is the expectation that growth will surprise on the upside. Commodities and emerging market equities are expected to be the best assets to hold over the near-term. There is also the belief that the low volatility environment caused by easing monetary policies will start to turn by the end of the year. This is a strange combination of fear and optimism. Fear about geopolitical risk and higher volatility but the idea that holding risky assets is the right play. This is another variation of a momentum hope strategy. Hold risky assets which have been performing better until a shock causes you to bail. My view is that when markets are tilted to overvalue any negative shock is greater reason to unload assets. A correction is more likely when expectations are for upward surprises that never come for low risk overvalued assets. 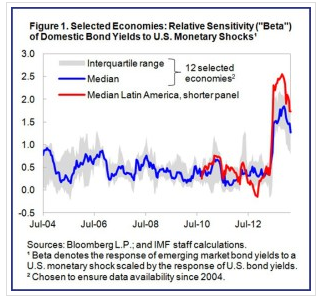 From the IMF direct blog, there is some interesting work on the link between US rates, the taper tantrum and emerging market bonds. Ex post, many should have seen this coming, but it shows how the market got caught on the wrong side after the taper talks. Figure 1 shows what caused the huge loses in fixed income over the last year from the taper tantrum. The beta for emerging market bonds went from a low of below 1 to levels that were double. The risk exploded for emerging markets when the market was looking to be relatively safe. There was a major reaction to the fact that Fed liquidity would start to be reversed. This has actually be the story we have see for decades. 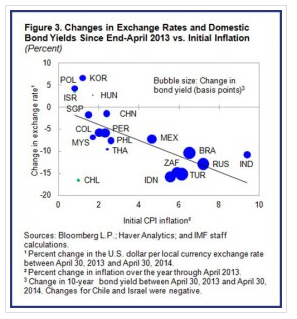 If there is Fed tightening, there is a strong reaction by emerging markets. Many thought this time would be different. In reality, history has repeated itself. The difference is the reaction has been based on anticipation of a policy change not a true change. Now that the taper is in place, emerging market bonds have calmed. 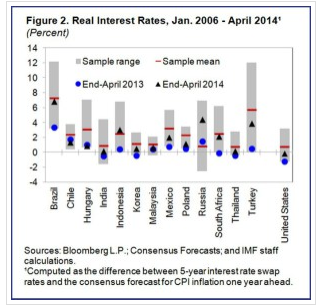 Figure 2 shows the rate increase was associated with real rates moving off of their lows. Less global liquidity and emerging markets in general will see a revision upwards. Of course, real rates were starting at multi-year lows so the bias was for an upward move given the right signals. It is hard to believe there was much more movement on the downside for real rates. Finally, the third figure shows that high inflation countries saw the biggest change in yields and the big revision in exchange rates. The countries that were poorly managed suffered the most. The story of potential tighter liquidity causing an increase in real rates and hurting those which had poorer country economics follows a sense of logic. Surprises do occur, but the reaction should be anticipated. Hat tip to the Prakash Loungani blog site for providing those graphs on the global housing market. 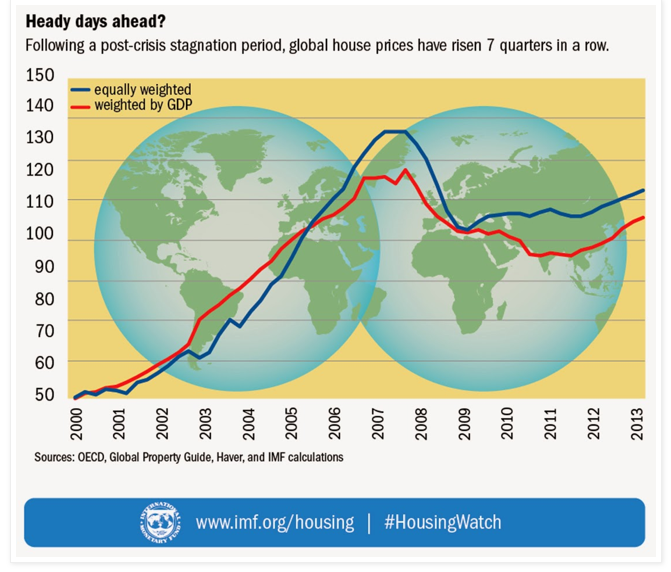 The good news is that we have a clear upward trend on housing which is increasing wealth for many around the world. This was one of the objectives of monetary policy. The bad news is that we have created the seeds for the next bubble. Isn't this what macro-prudential policies are supposed to stop? One of the best simple measures of valuation is the price of housing versus rent. Is the cost of owning more or less than the cost of "leasing"? 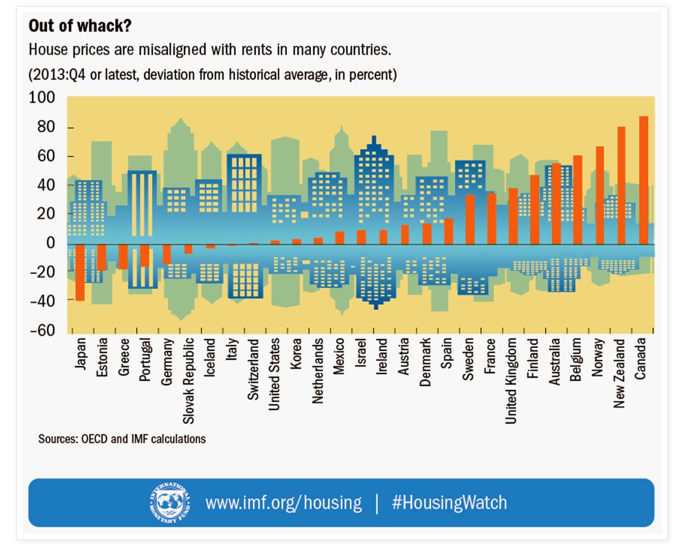 The US numbers suggests that housing is fairly priced, but if you move to other developed countries the story looks like a problem. Europe looks to be overvalued except for the countries that have suffered most form the sovereign debt crisis. In Europe you have slow growth almost deflation, overvalued housing and an unclear set of policies. This is not an engine for global recovery. 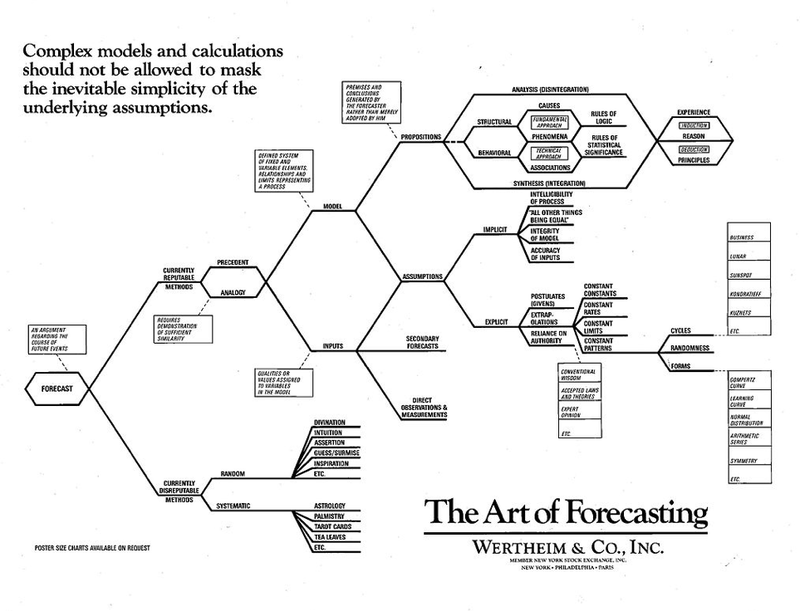 The chart on the art of forecasting is from an old Wall Street firm. Some would consider it out of date, but I think it provides a useful framework. While it may be odd to include this in my blog after posting about poor forecasting skills, it is important to understand how forecasting is done. A key issue is understanding the difference between precedents and analogies. We can discuss past cases as means of predicting the future. The past provides insight on the future. This is what many economists do with their story-telling. Analogy approach uses models which are based on formal assumptions and propositions. The area of biggest problems for any model forecaster is clarifying his assumptions and determining whether they are correct. As important is understanding the propositions embedded in models. 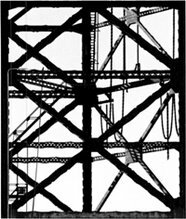 Failure is embedded in poor assumptions or linkages across factors. If we are to get better at forecasting, we have to understand the points of failure and whether they can be solved. The quality of economic forecasts have never been better which means they continue to be lousy If progress in economics is related to our ability to make good forecasts we have declined in our knowledge. The undercover economist, Tim Harford, has written about this issue although any close observer of the markets knows that professional forecasters are poor. Harford uses the work of IMF economist Prakash Loungani as a starting point for analysis. He looks at forecasting through the 1990's and found a clear prediction, economic forecasts were bad. He has now updated that work and looked specifically at the ability of economists to predict the recession of 2009. None were able to do it. 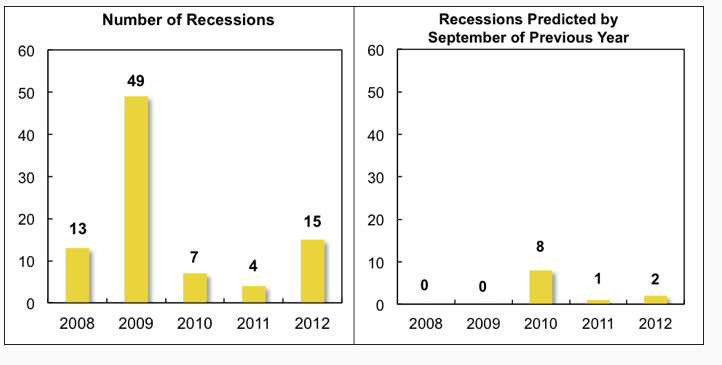 Zero were able to predict a recession for 2009 even at September 2008. Now that is some record. A chart of the forecasting skill is presented below. Recessions are rare events and turning points are always hard, but economist have no luck on catching these big events. We often come back to the same old best forecast of using today to predict tomorrow. The current as the best guess of the future is not very satisfying because turning points will be difficult and there really is no prediction. It is just a rule to act on what is in front of you today. This is why a have always been biased toward systematic rules. If the trend starts to decline, follow the momentum. Take signals from the market. It may not be overly sophisticated but it will get you in the right direction. If you want to add a little extra, use some conditional forecast based on current conditions. I always like say that the first issue is determining where you at. The second issue is determining what the crowd is doing or the trend. The least important is following the experts who often do not have money on the line with their forecasts. Fed Chairman Yellen stated that the latest increase in inflation is "noise". The PCE was up 1.6 percent from a year ago and the CPI was up 2.1 percent. So when do we have inflation signals versus noise? The simplest way to adjust for noise is to take out the components that are noisy. We often look at inflation ex food and energy given both are subject to supply shocks. The idea is that higher prices today will be offset or reversed tomorrow. To make this work, we have to expect that the noise will be offset in the future and that inflation is going to fall by the amount of the upward noise. If that does not happen, purchasing power is reduced. It is not clear that Yellen is saying this. If the recent inflation increase is just noise, then we can expect that no action will be taken which will be a green light for holding risky assets. As stated by Yellen, conflicts with employment or growth goals could be "somewhere down the road". Just a variation of the classic, "Nothing to see here, move along". Got it. The Fed will let inflation go higher to reach other goals. Don't worry. Inflation is noise when the Fed says it is. Remember "forward guidance" is not "formal guidance". We should be guided by the sum of all comments, and this one is telling us not to worry about inflation even if it is rising. "Our landings in the Cherbourg-Havre area have failed to gain a satisfactory foothold and I have withdrawn the troops. My decision to attack at this time and place was based upon the best information available. The troops, the air and the navy did all that bravery and devotion to duly could do. If any blame or fault is attached to the attempt it is mine alone." Let's get one thing straight. The IMF has done a horrible job of forecasting anything to do with economic growth. There advice to countries has not been much better. They are good researchers on many issues but they are not paid to be right on market directions. 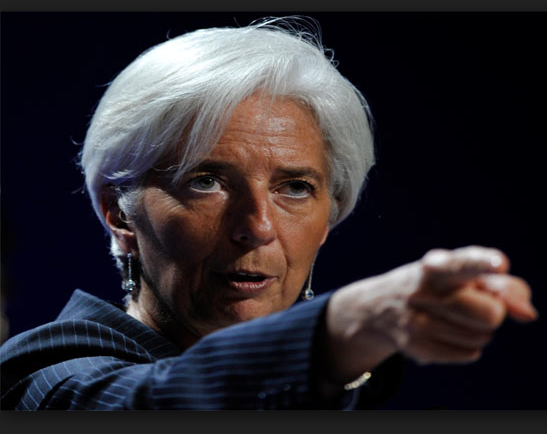 So we should be careful when we hear any comments from IMF managing director, Christine Lagarde. She was in the news Monday stating that the US should keep interest rates lower for a longer period of time because the US and the world will have slower growth. Her solution for a developed economy is more liquidity. The solution for an emerging market has always been austerity. The IMF view is that US growth is going to come in at 2% this year and full employment will not be reached until 2017. Note that the IMF has been looking for a change in their capitalization that would allow them to provide more liquidity as well as adjustment in voting rules. This has not been approved by the US. Getting the Fed to continue providing more liquidity is the next best thing to getting more liquidity lines for the Fund. I don't have a problem with the current IMF forecast. I may actually agree with the slowdown view. I do have a problem with the view that monetary policy is the solution. We do not have a liquidity problem. We have balance sheet and structural problems. The FT reported that the Fed is considering exits fees on bonds funds to avert a run on the funds. The Fed is considering corporate bonds funds a part of the "shadow banking" system since they compete in the loan market. In this case, those bond funds have the same liquidity risk as a bank that could have a run when depositors ask for their money and the bank is holding illiquid assets. The Fed stated that a fund run is more likely because banks and Wall Street dealers do not have the same commitment to market-making given the added regulations on these institutions. In a crisis, there is less liquidity available when funds have to sell bonds to raise cash for investor redemptions. So let's make sure we get this straight. The Fed regulated bank dealers out of committing capital to market-making which makes the trading of bonds more risky Given this risk, you now have to charge investors a fee to get out of investments when the market turns against them. You tax liquidity so it is harder for investors to pull their money out of unsafe investments. Ok, this makes a lot of sense. Why stop with an exit fee? Why not just give the Fed the authority to declare a fund holiday and stop people from getting their money? See what that will do to the markets. There will be liquidity events when there will be more sellers and buyers which will result in price declines, but is it the place of government to now impose an exit fee on when investors want their money? Would it be imposed all of the time or just some of the time? The law of unintended consequences will be imposed. Would investors avoid corporate bond funds because of this rule? Is it possible the cost of capital for firms trying to raise debt financing will increase when bond fund investors will be required to pay a fee to get their money back? The intention of this proposal may be good, but the result of imposing the fee could be worse. Is beta the new alpha? Towers Watson (TW) does a nice job explaining the relationship between smart beta and hedge funds in their research paper, "Into a new dimension: An alternative view of smart beta". TW provides a strong case for the fact that most of the return coming from hedge funds is through different forms of beta and not alpha. Most of the returns can be associated with different forms of beta measures. The betas can explain a lot of the return variation. TW provided the chart above to discuss what are the different types of beta that are available or can be used to explain returns. They make a distinction between "bulk beta" which would be the traditional asset class betas that have been measured against benchmarks like the S&P 500 or the Barclays bond index and alternative beta which would be related to other factors. The alternative betas would include such factors as carry, momentum, and value. 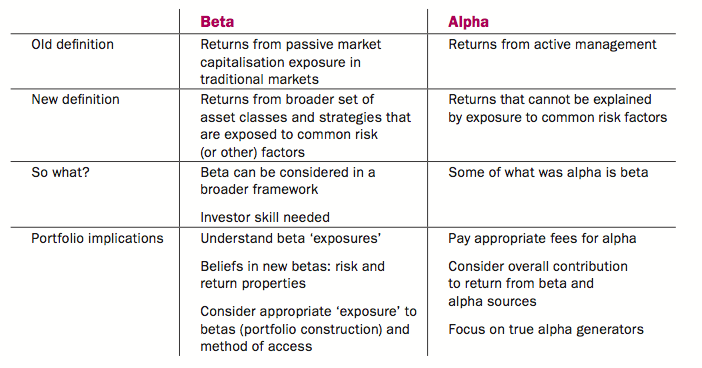 TW also provides a definition chart on the difference between old and new beta or alpha. The percentage explained by beta may be more than what most investors expect, but hedge funds can still provide strong value through their dynamic use of beta. The important issue is that a fund provides diversification through low correlation and consistent positive return. Finally reached highs in employment - so what? This month we have finally reached the previous highs in employment. The employment shortfall gap has been filled. This is six years after the previous peak and five years after the trough of the recession. So what? Should we be excited? The labor market still shows significant underemployment and declining labor participation. Many have left the labor force, so we are not getting any clear signals from the labor market that we are having a strong economy. The labor slack suggests that there is limited potential increases in wages which can push inflation or wages higher. The continued focus by the market on labor statistics seems misplaced and irrelevant. The focus should be on credit, consumer spending, and confidence surveys. Labor data just contribute noise. The natural rate of interest, or as recently expressed by PIMCO, the neutral rate of interest is a hot topic for both economists and investors. If the natural rate of interest is lower than current levels and negative, do not hold bonds. Inflation will have to rise to push those real rates down. If the natural rate of interests should stay low, then there is an argument to continue to hold bonds in a portfolio. If the natural rate is expected to rise or be higher, investors best find someplace else to hold their money. We can go back over 100 years for discussion of what is the natural rate of interest. Some of the early work of Knut Wicksell describes it as the neutral rate where commodity prices are not biased higher or lower and is determined by the balance of supply and demand for real capital goods. It will be related to aggregate demand in the economy which can be measured by the output gap. The output gap can be viewed as the sum of future real interest rate gaps which is based on time preferences, growth of technology, and the conditional variance of technology. In more sophisticated models, the natural rate is related to risk shocks and wage rigidities. Certainly, a risk shock has pushed down the current natural rate. The latest research suggests that the natural rate will be volatile and pro-cyclical. What has been unusual has been the persistent negative value for the natural rate in the post Great Recession period. This is, however, consistent with the large output gap. This natural rate can serve as a useful benchmark for the Fed, If the natural rate is negative then the Fed has to follow policies that will drive rate rates lower in the face of zero bound if the output gap is to be closed. This is easy to put into words but the measurement of the natural rate or the output gap is very difficult and up for much interpretation. John Taylor, the creator of the Taylor Rule for analyzing monetary policy, provides some good insights into the policy choices of the last ten years in the May American Economic Review. His main argument is that monetary, fiscal, and regulatory policy became more discretionary, interventionist and less predictable during the years preceding the Great Recession. This change in behavior could have been a contributor to the recession and the poor recovery. Monetary policy showed a shift away from the Taylor Rule and was moved to unusually low levels prior to the Great Recession. During the 2003-05 period, rates were lowered in response to deflation fears but the impact was the housing boom and speculative excess. This excessively low rates were a contributor to the excessive housing prices and lending binge through the use of adjustable rate and subprime mortgages. This discretionary behavior continued with the flow of liquidity during the panic of 2008 which was clearly necessary, but also continued during the post recession period. The QE policies are without precedent and has provided a higher level of uncertainty. Regulatory policy was uncertain during this period. The "largely ad hoc bailout policies" with respect to Lehman and other firms certainly added to market uncertainty. The TARP plan and other forms of government lending has also created a mixed view of what actual action will be taken in a crisis. There have been good actions taken, but there has been a change in the regulatory landscape which creates a lack of clarity on what will be done in a crisis or under normal times. Discretionary fiscal policy has also been more uncertain with unclear objections on what should be the goals of policy. Given the current labor environment, it is not clear what are the fiscal policies in place to improve employment. Fighting the story of poor policy choices, are two alternative stories: one, the weak recovery following deep recessions from a financial crisis hypothesis, and two, the secular decline in equilibrium real interest rates. The first hypothesis is based on the reading of history that financial recessions take a long-time grow out of. The evidence here is mixed. The second hypothesis on secular stagnation argues that the excess of savings versus investment has pushed equilibrium real rates negative. Given the zero bound, the negative real rates can only be realized if there is higher inflation. This story does not seem to be consistent with the historic facts. Hence, the discretionary monetary policy is still a contributor to the economic problems of the last decade. Now PIMCO has the "new neutral"
There is a neutral or natural real rate of interest in any economy. It is the rate that will lead to balance between savings and investments and lead to sustained growth rate, usually defined as trend rate, with controlled inflation. From the people who brought you the "new normal" we now have the "new neutral" which is the interest rate we can expect that will be consistent with trend growth. Bill Gross argues that the real rate of interest that will be the neutral rate will be close to zero and not the normal rate of 2-3 percent which has been the historical level. The "New Neutral" is the new epoch after the New Normal in the post Great Recession world. Perhaps this new epoch is because of the management changes at PIMCO, but that is another story. Determining the neutral rate of interest is a big deal and will have significant impact on the risk premia for all asset classes and how much bonds anyone should hold in a balanced portfolio. The consensus view is that rates have been kept low by the Fed but that over time the neutral rate will have to move higher. In this market view, the bias for rates is toward higher levels, so you should hold less bonds in any portfolio. Under a view that the neutral real rate is negative and nominal rates will have to stay low, you may want to hold those bonds in the portfolio and not give up the rate exposure. There is no bias to higher rates but an extended period that may actually see lower rates. The arguments of what is the neutral rate will dominate thinking in the market for at least the rest of the year. Story form Money Management Institute says that over 40% of net hedge fund flows for wirehouses in 2013 came in the form of liquid alternatives. This is at the expense of fund of funds and long-term hedge funds. Almost half of the alternative investments went into the non-traditional bond category. Investors want liquid yield. Alternative assets at wirehouses total $172 billion with 51% in the liquid alts category. The asset flows actually were dominated by just five funds. The market is getting more institutional and focused on mass marketing. A new study of hedge fund dispersion by Morningstar shows that there is a big difference in the returns across managers by category. 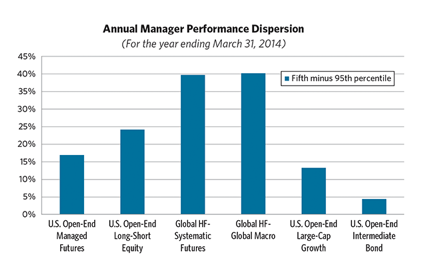 See ThinkAdvisor.com This dispersion is for the last 12 months ending in March. This is dispersion is even greater over a five year period. It is amazing that you can get that large of difference, but it also tells you something about the differences in style within a category. For bonds and large cap stocks, there is a diff differences between the best and the worst, but for global macro and systematic futures, it pays to make good picks and to diversify across a few managers to reduce the change of being in the extremes. Why US policy uncertainty has risen? "Why has US policy uncertainty rise since 1960?" is a nice short paper in the May 2014 American Economic Review by Baker, Bloom, Canes-Wrone, Davis, and Rodden. They offer two simple stories for the policy uncertainty rise. One, the scale of government activity has increased so there has been a corresponding increase in uncertainty of what these policies will be. Governemnt has gotten more complex and has a greater impact on business decisions. The index of uncertainty is a function of the number of stories about policy uncertainty relative to all stories, so if government becomes a bigger part of the economy there is likely to be more stories about what policies may do to the economy. Second, if there is more political polarization, there is more likely policy uncertainty because there will be a greater chance there can be a large fluctuation in policy. If we move between policy extremes, there will be more policy uncertainty of which extreme we will move to. This will also be the case if there a close divide between one extreme and another. Not mentioned in the paper is the clear fact that most presidential elections are determined by just a few percentage points and Congress can switch and be at odds with the executive branch. This all creates more uncertainty for a growing part of the economy. There is nothing we can do about this uncertainty. It is something we may have to live with, election "seasonality". ECB negative rates - a tax on bank prudence? The ECB has set deposit rates for banks at a negative rate. The refinance rate has gone from 25 bps to 15 and the bank deposit rate has gone from zero to -10 bps. The purpose is to stimulate the EU economy and push inflation back up to the ECB target of 2% from the current levels of .5%. The big question is how do we go from negative nominal rates for banks to inflation of 2%. So let's think about what just happened. If you are bank and held excess reserves at the central bank, you will now be charged a penalty rate. This is a tax on excess reserves. The idea would be that if there is a penalty rate there will be an incentive for banks to lend more which will decrease the amount of excess reserves. Excess reserves usually occur if there is there slack lending. But let's take a very simple real case. What if the banks have not been lending because they cannot find good loan prospects? The excess reserves at zero rates were left at the central bank because there was a shortage of loan demand not supply. Now, if you were a banker, would you lend money to risky borrowers if you are penalized at 10 bps? If you have done banking you find out very quickly that it takes a lot of good loans to make up for one bad loan. The loan rate has to cover the expected default rate plus a profit over the cost of funds. Do you think banks will believe that the incentives to them have not changed now that rates are at 10 bps penalty? They have also offered longer term loans to banks if they make new loans, but if they have excess reserves, you may not want to borrow the money except if you were a bad bank credit. If the money is cheap, take it, but it is not clear whether either of these policies will get the economies going. the output gap is still significant. ECB President Draghi, "Are we finished, no." This is a clear signal that European QE is being prepared. He said as much. It also tells us that the ECB may not be sure that the negative rates will work. Are central banks just watching equities? There has been significant talk about the big moves in the US stock market but it should be compared with respect to others around the world. Yes, the US is ahead of other markets in this rally but there is a simple reason if you follow the money. I get the feeling that central banks are just as focused on equities as regular investors. The difference is that they can do something about if they do not like the price. Let's look at equity behavior and central bank behavior. The US has consistently used QE programs to boost the economy and equity markets. More money, more return. No money, no return. The BOJ has been a little late to the monetary table, but increased money in 2013 ad saw a nice gain in stock markets. Now that the Nikkei index has flat-lined there is talk about more monetary action. The Bank of China has tried to dampen speculative excess in economy. Here there has been no gains in equities and now more talk of loosening policy. Finally, there is the EU stock markets which has followed the US with a growing gap. This gap could be related to the less aggressive ECB policies. Now with the latest policy changes, it is clear that the ECB wants to close that gap. Follow the equity markets through following the stimulus. Same old story of not fighting the central banks? At some point, investors will have to think differently. That time has yet to come.